Welcome to Hello! Fashion Monthly Readers! The BoroughBox Discovery Club was featured in Hello! Fashion Monthly this month, we'd like to invite all Hello! 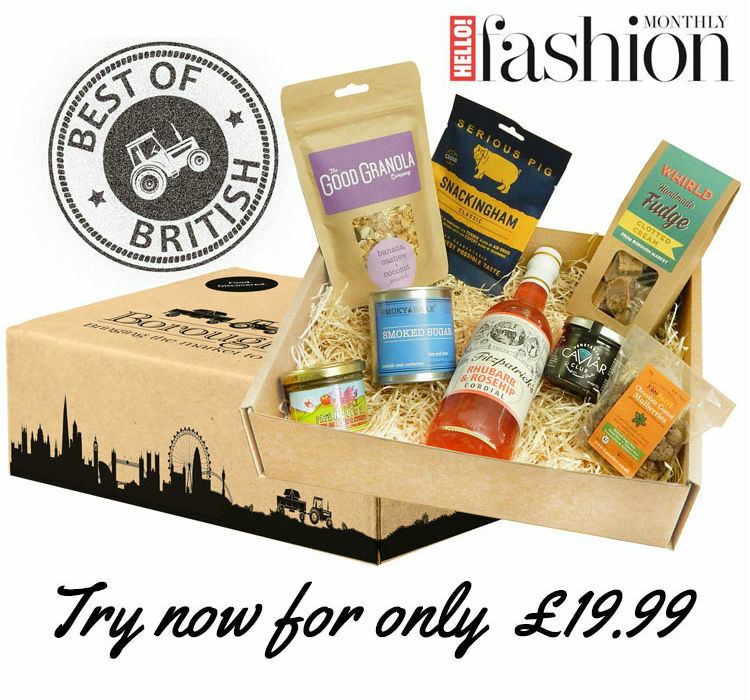 readers to try our Best of British taster box for under £20. You can save £15 on this tasty box until the end of May. Use code HELLOMAG and get our cracking Best of British taster box for just £19.99. You'll then enter our monthly subscription. We don't tie you down to a lengthy contract so you can cancel at any time. *Code HELLOMAG will give £15 off the first month of a monthly subscription package only. Future months will be charged £34.99 each month. You can cancel at any time.